Tina started out as our wedding photographer a long time ago and over the years has documented our marriage and the growing up of our family. Tina is an artist, who just happens to do photography. She has that gift that makes photography magic to me—she can find that amazing, real and sparkling moment in the midst of what seems to me to be an ordinary afternoon. From the wedding picture on my desk to the pictures of our kids on my office walls, the photos are more than just the people, they capture feelings and emotions. And that is what I want to remember most – feelings and emotions, and I can’t thank Tina enough for giving that to me. My wife and I very much enjoyed having Tina as part of our big day, not only did she take great pictures but she successfully kept the mood light when it came to getting all the traditional wedding shots. Her easy going nature and unobtrusive manner meant she was able to capture the mood and expression of the day through great candid shots of family and friends. We would highly recommend Tina for any photographic work and especially weddings! I had been admiring Tina’s images many years, so it took me about 2 seconds to figure out who I wanted as the photographer for our wedding it was Tina – Tina – and no one else but Tina. But our wedding was in BOSTON! I checked out a zillion local photographers whose work was acceptable, but it just wasn’t Tina’s. After a few calculations, we decided to fly Tina out for our wedding. What luck for us and we are so glad we had her for our very special day. 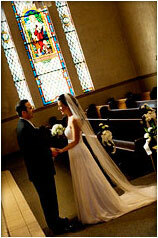 During the months before the wedding, Tina was very accessible and helpful with advice whenever we needed it. When our big day finally came, she was everywhere, taking a beautiful array traditional, whimsical and avant-garde photos, picking up on people’s personalities and on the smallest details that, given all her years of experience, she knew the bride had spent months perfecting. There just wasn’t a moment, a person, or a detail she didn’t capture. The real treat was, of course, getting to see our photos. The book she put together is lovely and having all of our photos online for all to see and order made me pity the brides of yesterday who didn’t have access to digital photography. She was perfectly pleasant to work with from start to finish. Thanks again Tina! My husband and I recently had the pleasure of working with Tina for the photography of our Ashland wedding, and our experience with her was truly extraordinary. Tina is expert, professional, patient, and imaginative. Not only was she able to tell a beautiful story of our wedding through her unique photography, but she also went beyond the role of “photographer-only” during the months leading up to our wedding as she kindly helped me sort through questions of coordination, logistics, and how to add that special touch. 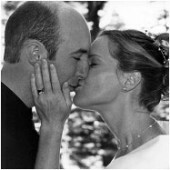 She continually reassured me as a bride, and I grew to rely on her openly for advice and counsel. Many of our guests approached us during and after the reception to comment on how pleasant she was to work with‚ and one of our guests in particular told us, “Tina made me feel beautiful.” Tina seemed to capture the spirit of our wedding through her art, and we feel so fortunate to know her as our photographer and our friend. When she shot my wedding she truly captured the feeling of the occasion; the photos definitely remind me of the beautiful and special day. It’s those kinds of comments and the fact that Tina is so sweet and has a great ability to make people feel comfortable that makes her my favorite photographer. We choose Tina for our daughter’s wedding and again for our son’s wedding. Tina captured the beauty of the bride & groom and that of the families and friends. She also captured some very special moments and the beauty of the surroundings. The photographs were stunning…both color and black&white. Tina is a very special photographer who listens to her clients and provides stunning photography. We highly recommend her. The pictures Tina took of our boys and the rest of the family, are the best we have. She managed to make our son Chris relax and smile-something he never does in other pictures. Many people notice how natural and easy-going he seems in the photos. We are so happy with the pictures that we do not get family photos done by anyone else. Tina Bolling has photographed our family for over five years – including our wedding, our pregnancy and our daughter’s graduation photos. She continues to take annual family photos. She has had immense patience when our three year old wasn’t in the mood for being photographed. Her skill and talent helped us get beautiful photos anyway. Her photographs are always exquisite and flawless—with perfect lighting. Tina’s friendliness, enthusiasm, artistry and skill make her an accomplished professional. We highly recommend her. We wouldn’t be photographed by anyone else. We absolutely loved working with Tina, and love our wedding pictures so much—we seriously still look through them at least once a week! 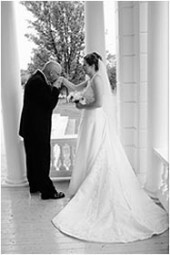 Tina handled our wedding with grace and professionalism, and made us feel completely comfortable in front of the camera. She was quick and efficient while keeping the mood light and fun. Our pictures are gorgeous—Tina was able to capture more than just the event, she caught the emotions of our wedding on film. We were very pleased with the photos Tina took of our children. Tina managed to create our vision of the photos while exceeding our wishes that the kids look natural and happy. The quality of the photos was so high that we ordered more than we originally had planned. Our photo experience with Tina was the best we have ever had and we plan to use her again. There is something magical about Tina’s ability to capture those special moments so perfectly. 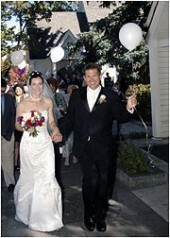 Our family first met Tina when she was our photographer for our daughter’s wedding in 2000 at Lithia Park. This was our first big event and we really didn’t know what to expect or even which questions to ask. Tina, with her calm, professional manner, and gracious, endearing personality was able to move us through the photo shoot in a way that greatly reduced stress and contributed to the fun and happiness of that wonderful day. Tina created the most beautiful, meaningful photos of everyone involved in the wedding. I cherish the photo album of our daughter’s wedding and never tire of looking at the framed enlargements hanging in our home. Since then, we have been fortunate to have Tina take more family photos at different times through the years. Many people have complimented us on the quality of the photos take by Tina. Honestly, I have never seen any better professional photos ever! But there is something else in addition to the technical quality—the seemingly effortless artful quality of the photos Tina creates. She is and artist and her photos are works of art. We are very grateful that we found Tina and we treasure her friendship. Tina Bolling is an outstanding photographer whose attention to detail, playfulness and organization is unsurpassed. 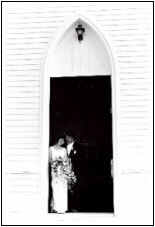 She gave us the most dramatic photo of our wedding: my husband and me in the huge doorway of the Little Shasta Church (1883), it’s whimsical, lovely, and memorable. Tina captured every moment of our special day. We have thoroughly enjoyed spending our time together gazing at our wedding photos and re-telling the fun, adventures and love we experienced. Our wedding would not have been the same without Tina being a part of it! Without a doubt, we would recommend anyone to have her capture their magical wedding moments.